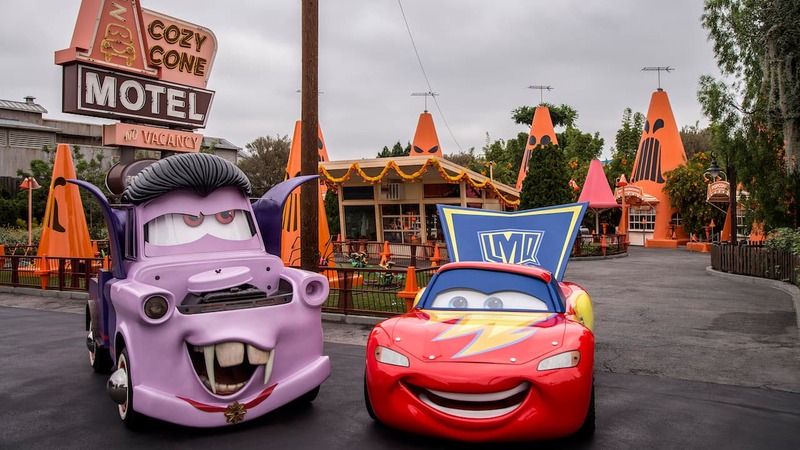 Halloween Time at the Disneyland Resort is expanding into Disney California Adventure park, bringing the first-ever Haul-O-Ween in Cars Land. 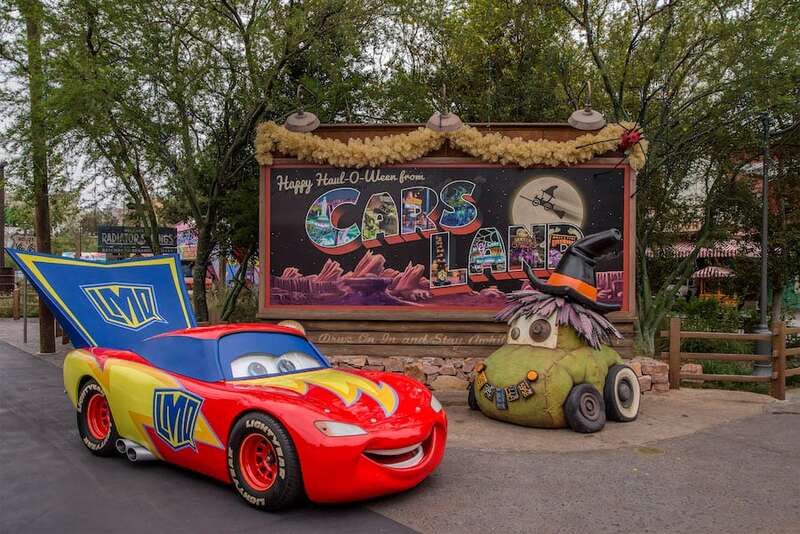 The residents of Radiator Springs are getting into the spirit, decorating each of their establishments and even donning their own car-stumes! Lightning McQueen is already a super hero to race fans, and his car-stume reflects that. Here he is next to the scare-car which makes its Haul-O-Ween debut this year. 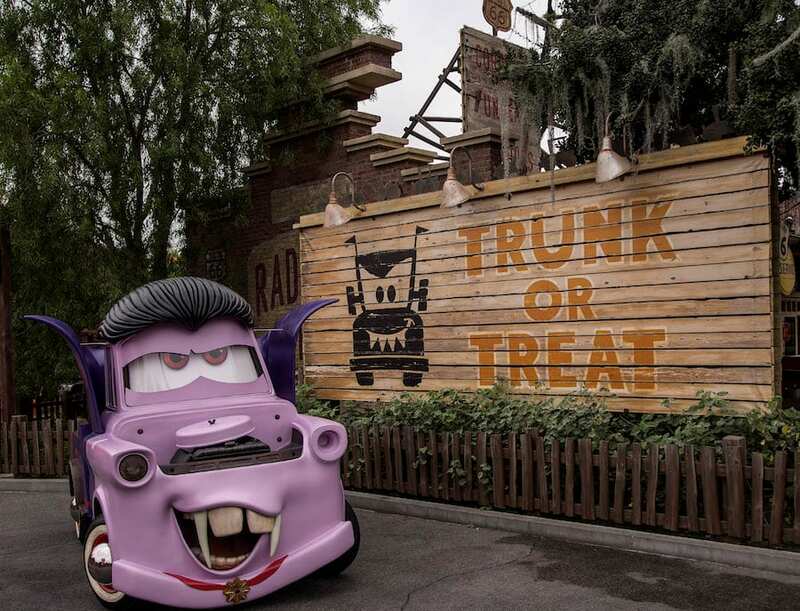 Mater may not have a trunk, but that won’t stop him from trunk-or-treating in his vampire costume. Come see these and more “Cars” characters in their car-stumes during Halloween Time at the Disneyland Resort, September 15 through October 31! I want a Scare Car!! Wish we could make it down to see DCA all Halloweenofied… looking pretty sweet. Guess we’re going to have to check it out next year. I love the “costumes” on the Cozy Cones in the lead photo. Everything looks terrific! This is awesome! Cannot wait to take our pics with Mater and McQueen tomorrow. So awesome! They look great. I’m glad that California Adventure is finally becoming part of HalloweenTime. 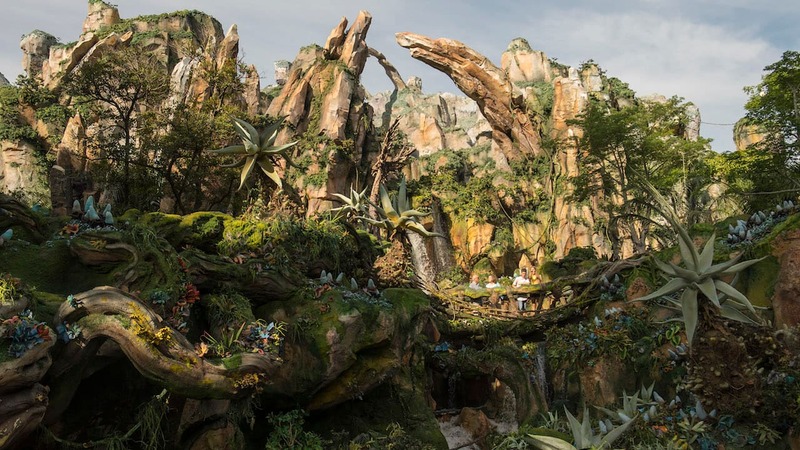 I love how Cars Land looks.